T510 can be recommended with confidence on heifers. There aren't many calving ease bulls with a high $B EPD, but T510 has that, and is about as complete a heifer bull as there is. 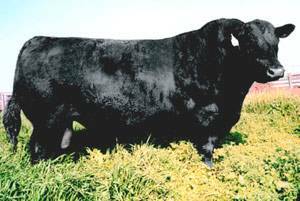 T510 is the only bull who is in the top 1% for calving ease, top 2% for IMF and top 4% $B. T510 is you value added outcross to 878, 1407,Future Direction, 095, E161, Alliance, VRD, 5175.